WordPress is one of the major CMS platforms today. It is very common and used by most of the website owners today. So the hackers try to get to your WordPress website by using the weak points in the platform, theme or plugins you use on your website. 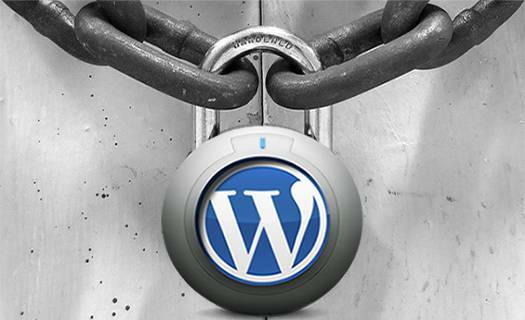 So with these WordPress security tips you can ensure a better safety net for your website. Not only you have to ensure the security you also need to make sure you have the necessary recovery methods. Keeping the backup files for your website is very important, as you have invested all your efforts even though you have used numerous free plugins and themes. Installing the WordPress WP-DP Backup plugin you can make sure you have all your files and database, weekly or daily as you prefer, so you can easily recover your website. Of course there are other Backup plugins that you can find in the main WordPress Plugin Directory. Boutros AbiChedid, the owner and main contributor to this Blog, wrote 2 tutorials that specifically relate to creating a Backup of your WordPress Website. Complete Backup of Your WordPress Website in 2 Simple Steps. Top 17 Free WordPress Security and Backup Plugins. You may be frequently troubled by WordPress theme, plugins or platform updates to the newest version. Updating is very important as the latest updates comes with the security patches for the older ones. The hackers always try to figure out a way to get in to your site, so they go through all possible ways in the WordPress platform as well as the themes and plugins, to have access to your Website. WordPress developers keep improving code and fixing loopholes,to make the platform more secure and robust. It is important to maintain strict access of your folders and files. You also have to limit the permission to make any editing or other changes like read only, write or execute, to yourself or to a selected number of people involved in the management of the Website. But you also should be aware of your permission limitations to make sure that your website is still functioning properly. The more you limit the accessibility to certain folders or limit the permission for any changes, the more you can ensure the safety of the website. But there are occasions when the permission is required by certain plugins to perform the actions. Setting up a password is the basic security and yet it is a very important one. Most people use the password provided by WordPress during the initial installation process, while some other use simple passwords which may be their names or their beloveds’ names. Simple and general passwords are easier to crack by hackers. You have to keep the passwords frequently updated to ensure the security for your website, not only for the WordPress admin login but also the database. It is important for you to include numbers, symbols along with upper case and lower case letters. Boutros AbiChedid, the owner and main contributor to this Blog, wrote 1 tutorial that specifically relates to limiting Login attempts by crackers to your Login Page. What do you think about WordPress Security? Do you take it Seriously? Did it affect you in any way? Or you have the mentality that "it´s not going to happen to me". Please share your opinion in the comments section. Your opinion matters, unless it is a Spam. Change Your WordPress Table Prefix in Few Simple Steps. Thanks for this. Helped me to improve security of a wordpress website. 56 queries in 0.355 seconds.